You might not know a lot about Charles Rolls, but we’ll bet his surname is pretty familiar. 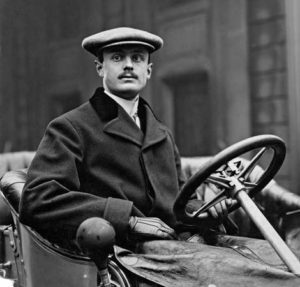 As one of the founding partners of the prestigious Rolls-Royce brand of car and aeroplane engines, Rolls was a student of engineering, an early adopter of the motor car and a pioneer with keen interests in excelling in the areas of cycling, motor cars (including motorsport) and aeroplanes – the latter of which sadly took his life at the age of 32 when he became the first British person to die in an aeroplane crash. Born in London to a Welsh family in 1877, Charles was the third child of 1st Baron Llangattock and Lady Llangattock – despite a Cambridge education he maintained close links with his Welsh family home and, indeed, today has a statue in his honour located in Agincourt Square, Monmouth. In addition the Rolls of Monmouth golf course is named after him. 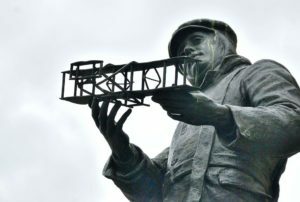 He studied mechanical and applied science, having already gained a reputation for tinkering with engines and earning himself the nickname Dirty Rolls. But Rolls was a salesperson as well as an engineer and had business acumen which helped to establish the values which have carried on with the Rolls-Royce brand to this day. By the time he left university, Rolls was already an accomplished motorist and eventually owned one of the first three cars in Wales. In 1903, he broke the world land speed record in Dublin, hitting 83mph, and he even set up one of the first car dealerships in Britain with his friend Claude Johnson: CS Rolls & Co. 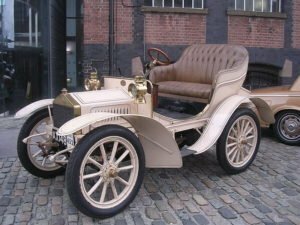 Together they imported and sold Peugeot motor cars from France and Minerva motor cars from Belgium. Today the firm he founded has spread and split, but Rolls’ legacy is responsible for some of the world’s leading luxury automobiles and the second largest aerospace engine manufacture on the globe. In 2007 one of the few surviving early models (a Rolls-Royce 10 hp) sold at auction for £3.6m.